Replacement: None. We are no longer carrying these standoffs in our catalog. This page is for reference only. 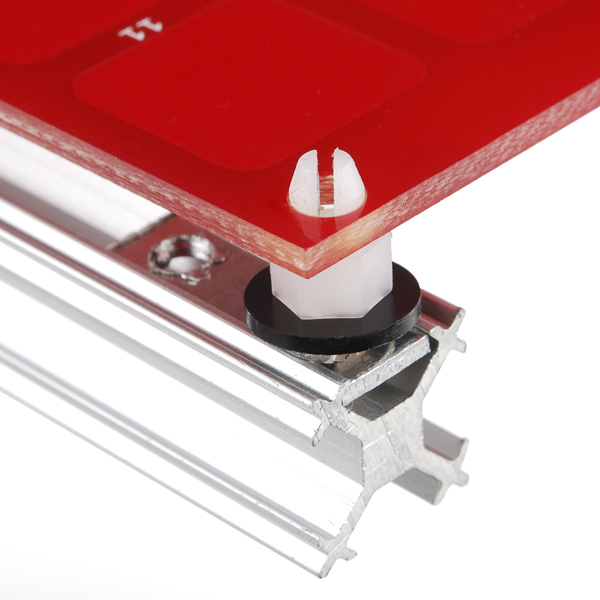 When we first got hold of MicroRax, we realized that you could slot PCBs into the T-slot on the beam, but you would have to put tape on the edges to insulate them. Well, now MicroRax has built a part just for attaching PCBs to your T-slot creation. 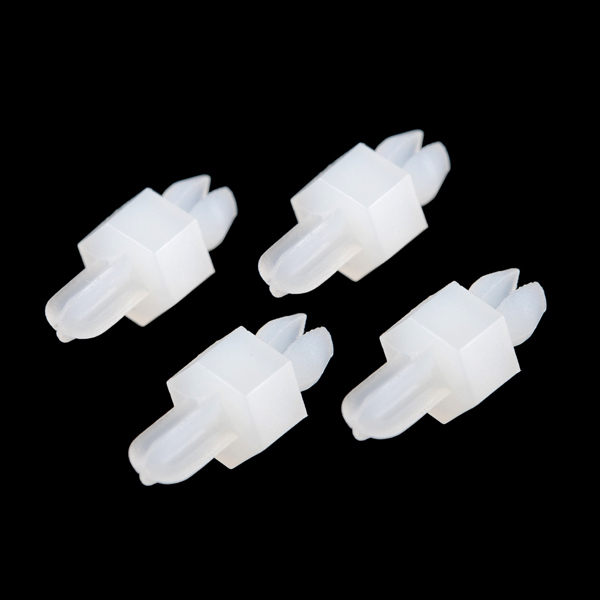 These plastic standoffs snap into 1/8" mounting holes and thread into the MicroRax threaded nut-plate. 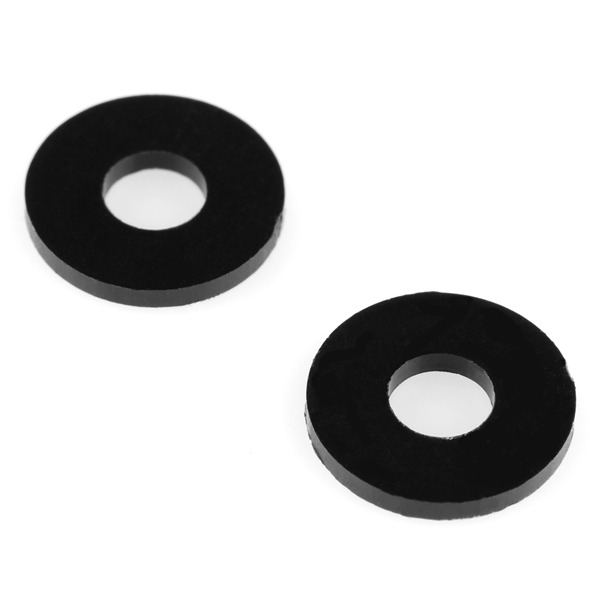 Simply slide the nut plate into place, put two washers over the standoff and screw it in. Once it's in, you can loosen it to adjust its position. I may use these with my Erector set to mount circuit boards.